The role of the CFO or financial leader of an organization used to be termed as a “numbers cruncher”. For many reasons, The Strategic CFO has been working tirelessly to coach, consult, and mentor CFOs, Controllers, and others in the finance and accounting function to go from being a number crunchers to a value-adding financial leader. In addition, the role has naturally evolved to go beyond finance. McKinsey reports that 41% of the CFO’s role isn’t even in finance and accounting. As a result, adding value as a financial leader has dramatically changed. Adding value as a financial leader goes beyond accounting and finance. The CEO needs a wingman – someone to guide them, provide strategy, and back up with a financial plan. To learn how to be a wingman, click here to access our How to be a Wingman guide. We define “value”, in regards to adding value as a financial leader. But, how does one add value? They are a steward of both financial and non-financial performance. They are also responsible for partnering with other business, supporting business strategy, and sustaining value-adding strategies. In other words, adding value as a financial leader simply means supporting the organization (specifically the CEO) to do what they do best – cast the vision for the company. In order for the finance function to be value-adding, the function (AKA the CFO) needs to have buy-in from the organization’s leadership. 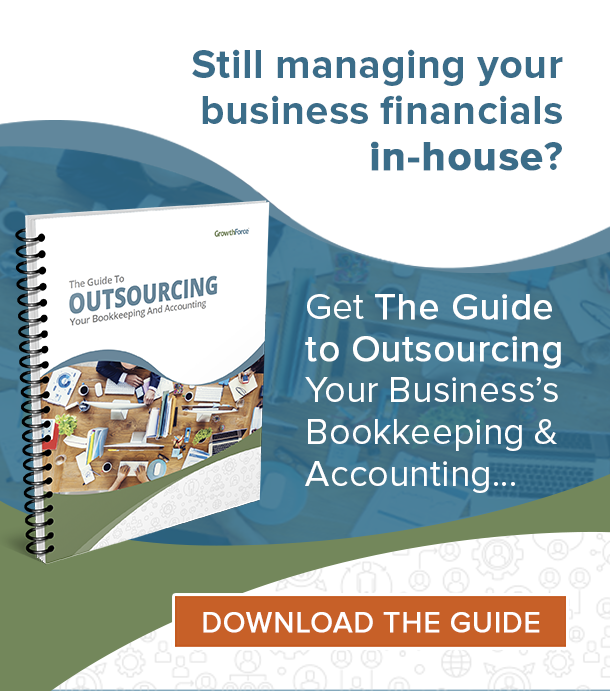 This buy-in allows that financial leader to oversee HR, IT, tax, finance and accounting. The finance and accounting function must support these departments or areas of business in order for it to be value-adding. With technology advancements, more regulations, and additional complexity, the role of a CFO is completely different from 20 years ago… Even 5 years ago. How Does a CFO Add Value? The three legs of an organization include sales, operations, and accounting. If one of those legs is falling short or is more successful than the other leg, then the stool risks tipping over. How does a CFO add value? A CFO adds value by understanding on each of those legs equally. 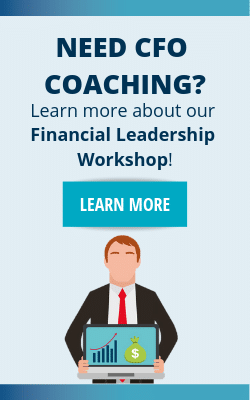 A financial leader or wingman needs to go beyond the accounting and finance function. To learn how to be a wingman, download our How to be a Wingman guide. A good CFO truly understands the operations side of the business. Look at efficiencies in the operation. Understand the measure of throughput if you manufacture something, look at labor hours and efficiency if you provide services. Your monthly dashboards as CFO should include accounting and financial measures, but also operations metrics. Working to respond to customers quicker and with more satisfactory answers should be a priority of the company. One indicator that I manage in my business is customer turnover. It’s much easier to keep a customer than it is to find a new customer. Therefore, streamline your customer service processes. This can include getting more responsive tracking software, hiring better or more representatives, training every employee to respond to customers. It is common to have a collections department if you are a larger organization. But if you are smaller the collections effort often lies with the sales people who have the relationship with the customer, and sometimes the collections effort is done by someone in accounting. It really should be the person with the client relationship. Either way, make sure someone is following up with collections. You would be surprised how many times I have walked into a business and one side of the business thinks the other is following up on collections, when in reality no one is. Want to get more tools that can help you become more profitable, streamline operations, and collect A/R quicker? 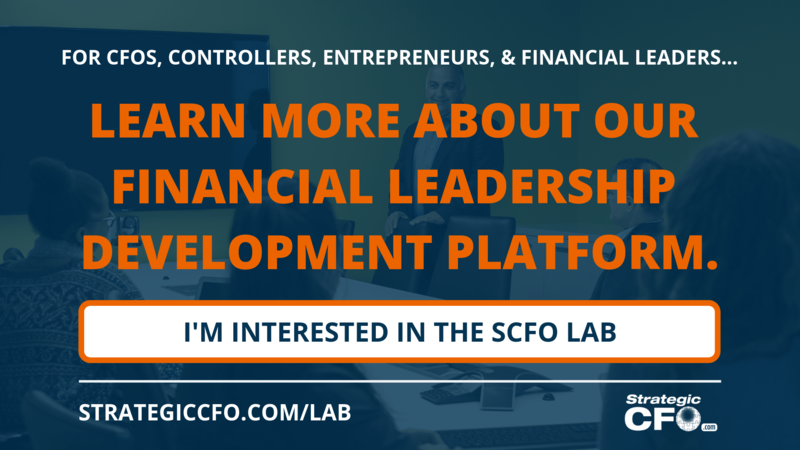 You can access that and so much more in the SCFO Lab. Click here to learn more. 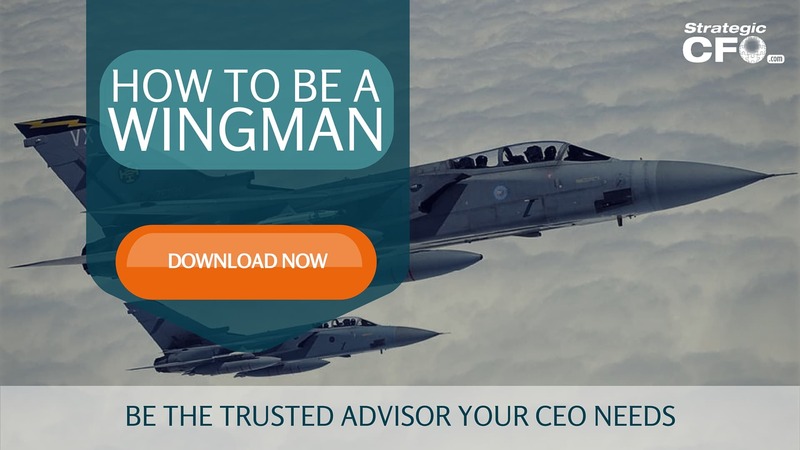 Be the trusted advisor your CEO needs and access the How to be a Wingman guide. Very good points. A seasoned CFO can be a good sounding board for a dynamic, young CEO as well as providing a comprehensive analysis of strategic initiatives, emphasizing the downside of such a strategy as well as managing the upside expectations.